Product prices and availability are accurate as of 2019-04-17 09:28:57 BST and are subject to change. Any price and availability information displayed on http://www.amazon.co.uk/ at the time of purchase will apply to the purchase of this product. 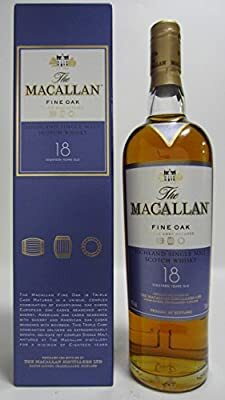 "This is an elegantly masculine whisky. With its rich amber color and spiced aroma, this is one single malt that can be described as impressive and "large". While the whisky is beautifully mouth-coating, the finish unfortunately stays only for a moment or two." "This is much more accentuated on a cream sherry persona.But this is sulphur free and quite fabulous." Nose: Vanilla custard tart with nutmeg, hot cross buns, honey glazed patries, praline and elegant creamy/nutty oak. Palate: Spiced white chocolate, butterscotch, toasted oak, french toast, creme brulee and a touch of ginger spice. Finish: Mellow and creamy toffee with spiced citrus, raisin, toasted spices and ginger. 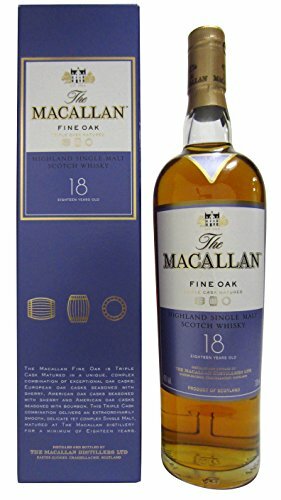 A well balanced and elegant Macallan that expertly blends Sherry and Bourbon wood matured malt to winning effect.